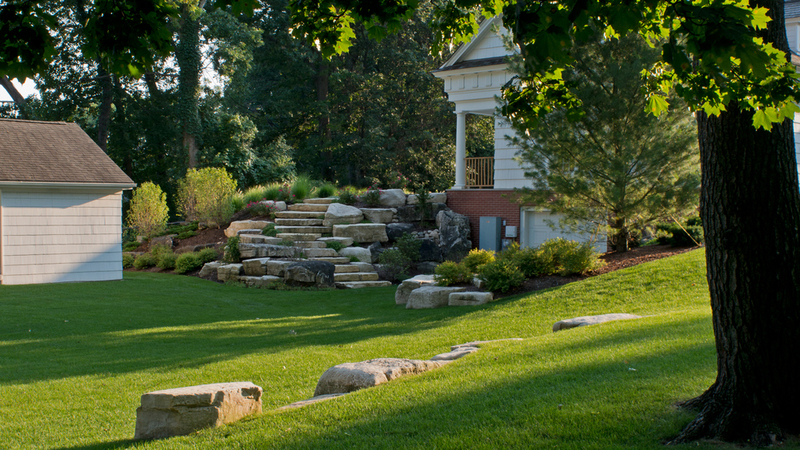 This stately farmhouse sits on a site that incorporates generous expanses of lawn and is grounded by a straightforward mass of yew foundation plantings. The motor court organizes and simplifies the vehicular circulation and features a gentle grassed landform with a specimen Linden tree within its center island. 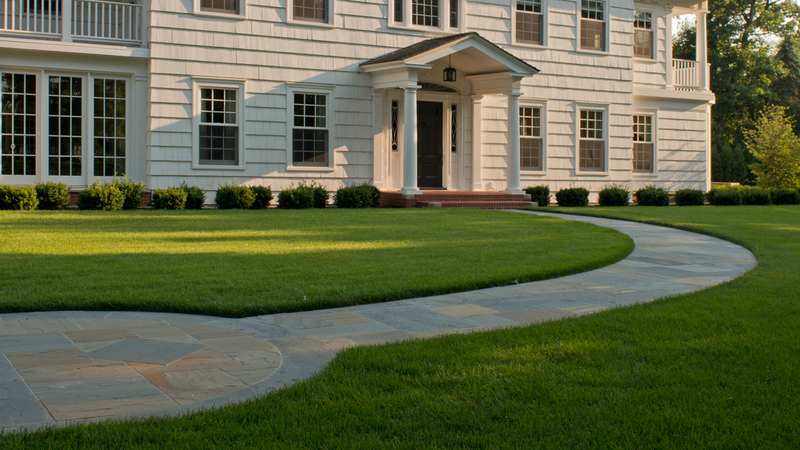 An elegant bluestone walk quietly invites the visitor into the home. 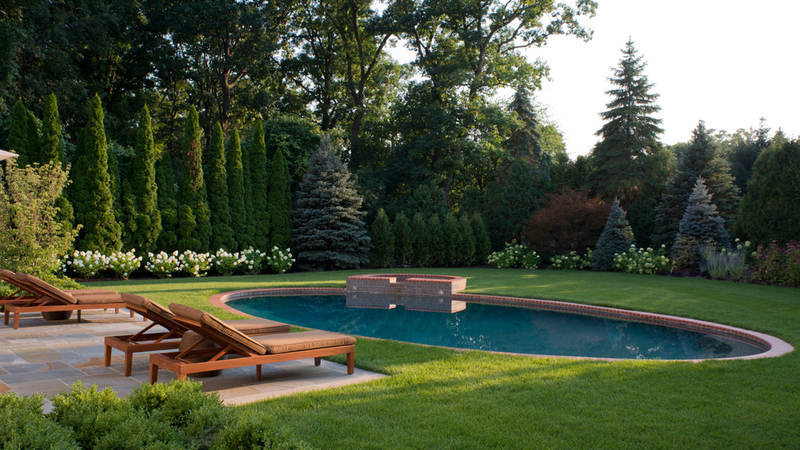 The calm and luxurious spa garden highlights an elliptical swimming pool surrounded by lawn.